With great anticipation for the start of the USGA championship season, including the U.S. Open Championship at Chambers Bay in University Place, Wash., now less than two months away, FOX Sports announced the addition of several contributors to its coverage team. The announcement was made today by John Entz, Executive Vice President, Production & Executive Producer, FOX Sports and Mark Loomis, Coordinating Golf Producer, FOX Sports. Existing FOX Sports personalities joining the USGA lineup are mainstays Tim Brando, Charles Davis, Joel Klatt, Robert Lusetich and Curt Menefee. Brando, one of FOX Sports’ primary voices for college basketball and football broadcasts, serves as the announcer for each day’s featured group on the live-streaming, digital broadcast of the U.S. Open Championship available on the FOX Sports GO and official U.S. Open app. He previously hosted digital coverage for CBS’ presentation of the Masters from 2012 to 2013 and also served as the lead television announcer for the Liberty Mutual Legends of Golf Champions Tour event on CBS in 2012. Davis, FOX College Football’s lead game analyst, spent five years as a co-host of The Golf Channel’s series, “The Grey Goose 19thHole,” and also served as the tournament director for the PGA Tour’s Disney Golf Classic from 1998 to 2000. He is enlisted as a host and reporter for coverage of the U.S. Open, U.S. Senior Open and U.S. Women’s Open. Klatt, FOX Sports’ lead college football studio analyst and host of FOX NFL KICKOFF on Sunday mornings during the fall on FOX Sports 1, is tabbed as host and announcer for the “U.S. Open 360” channel on the digital platform. Lusetich, FOXSports.com senior golf writer, serves as a golf correspondent on FOX Sports 1 throughout the championship season and as an analyst for the U.S. Open 360 team. He spent over a decade as The Australian’s Los Angeles correspondent, covering golf and other major sporting events for the daily national newspaper before joining FOXSports.com. Menefee, host of the award-winning FOX NFL SUNDAY, assumes duty as the studio host for the U.S. Open telecast, providing highlights, updates and feature content throughout the week. Those joining FOX Sports for varied roles across the USGA’s slate of championship events include Shane Bacon, Mark Brooks, Robert Damron, Jay Delsing, Debbie Doniger, Natalie Gulbis, Gil Hanse, Buddy Marucci, Scott McCarron, Ned Michaels, Eoghan O’Connell, Joe Ogilvie, Morgan Pressel, EA Tischler and Tom Weiskopf. Bacon joins FOX Sports after spending 2014 on-air for the upstart Back9Network, a golf lifestyle cable channel. Prior to his stint at Back9, he was a contributor and editor for the Yahoo Sports Devil Ball Golf and CBS Eye on Golf blogs. 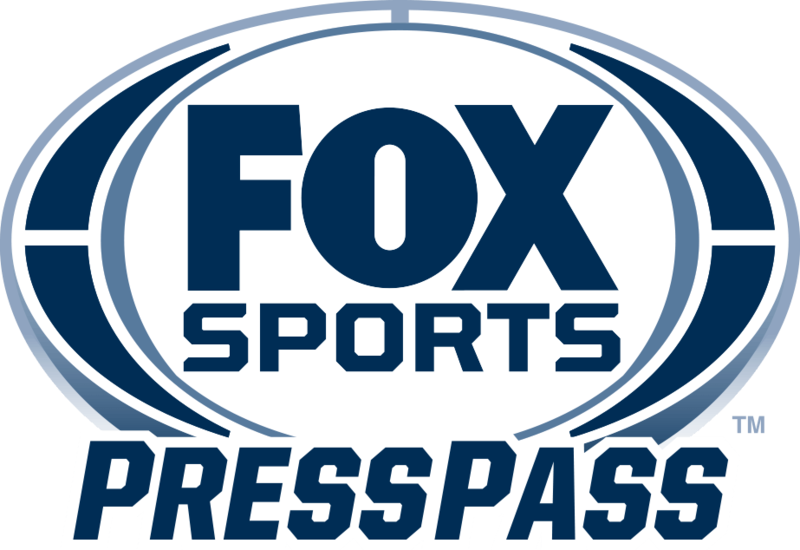 In his role for FOX Sports, he contributes writing and video content to FOXSports.com, in addition to serving in an on-course reporting capacity during the Women’s Amateur Four-Ball and live streaming of the U.S. Open and U.S. Senior Open. Brooks, a veteran of more than two decades on the PGA Tour, notched a major victory at the 1996 PGA Championship at Valhalla and lost an 18-hole playoff at the 2001 U.S. Open at Southern Hills. He won seven tournaments and posted 58 top-10 finishes during his career, and now joins Brando, Gulbis and Marucci as a featured group analyst as part of the digital presentation. Damron, another former PGA Tour pro who netted 19 top-10s during his playing career, also joins the digital crew, assuming on-course reporting responsibilities for holes No. 12 and 15 at Chambers Bay. In addition, he will follow the featured group for digital coverage of the U.S. Women’s Open. Delsing made more than 500 starts on the PGA Tour and claimed 30 top-10 finishes during his career. A graduate of UCLA, Delsing was a college teammate of fellow FOX Sports golf analyst Corey Pavin with the Bruins. In his broadcast role, he offers viewers unique on-course insight for the U.S. Open, U.S. Senior Open and U.S. Women’s Open. Doniger, a former Atlantic Coast Conference champion and ACC Hall of Fame inductee, competed on both the Futures and European Tours, and was voted by her peers as one of Golf Digest’s “Top 50 Female Instructors” in 2012. In her television role, she appears as an on-course reporter for the U.S. Women’s Open, Women’s Amateur Four-Ball and Women’s Amateur championships. On the digital side, she also contributes as a reporter for holes No. 12 and 15 during U.S. Open coverage. A 14-year LPGA Tour veteran and winner of the 2007 Evian Masters, Gulbis serves as an on-course reporter for the Women’s Amateur Four-Ball and the U.S. Women’s Amateur. She also contributes to FOX Sports’ digital coverage of the U.S. Open, U.S. Senior Open and U.S. Women’s Open. Gulbis found success in USGA events as an amateur, representing the state of California in two USGA Women’s State Team championships and earning medalist honors at the 1999 U.S. Women’s Amateur Championship. Hanse, a highly regarded course designer, provides a unique dynamic to the U.S. Open telecast, lending extensive insight into the strategic elements of Chambers Bay. Named Golf Magazine’s 2009 “Course Architect of the Year,” Hanse has placed his imprint on several prestigious courses in recent years and was also recently selected as the course designer for the 2016 Olympic Games in Rio de Janeiro, Brazil. One of the most well-known amateur golfers of the modern era, Marucci begins as an analyst at the U.S. Amateur Four-Ball and is part of the coverage teams for five of the eight USGA events presented by FOX Sports in 2015. Marucci won the 2008 U.S. Senior Amateur, was a member of the USA Walker Cup Teams in both 1995 and 1997, and went on to captain teams that won the international match-play competition in 2007 and 2009. McCarron provides on-course analysis during the U.S. Open, U.S. Senior Open and U.S. Women’s Open. McCarron competed collegiately at UCLA and spent 20 years on the PGA Tour, winning three tournaments and posting 39 top-10 finishes, including three in major championships. Michaels, a former Vanderbilt University golfer, Web.com Tour player and host of “Golf Talk America” on PGATour.com, is enlisted as a host for the U.S. Open 360 team. O’Connell, a USGA championship veteran who played in the 1989 Walker Cup (representing Great Britain and Ireland) and earned medalist honors at the U.S. Amateur the same year, serves as an on-course reporter for the U.S. Junior Amateur Championship on television, as well as an announcer at holes No. 12 and 15 during the U.S. Open. A Duke University graduate and 19-year PGA Tour veteran who posted 26 top-10 finishes and won the 2007 US Bank Championship, Ogilivie brings expert analysis to the U.S. Open 360 coverage. The youngest player to ever win an LPGA major tournament at the Kraft Nabisco Championship in 2007, Pressel serves as an analyst for the U.S. Open 360 platform. An active member of the LPGA Tour, she posted a third-place finish in the first major of the 2015 season, the ANA Inspiration. Pressel has 51 career top-10 finishes and is currently listed as the No. 33 player in the world in the Rolex Rankings. As an amateur, she tied for second at the 2005 U.S. Women’s Open, and later that same year won the U.S. Women’s Amateur. A Golf Magazine “Top 100 Teacher,” Tischler soon takes up residency as the Director of Instruction at Olympia Fields Country Club outside Chicago, home of the 2015 U.S. Amateur Championship. In his coverage role, Tischler joins the U.S. Open 360 livestream, lending instructor perspective on the intricacies of swing fundamentals and techniques before and after shots are played. Winner of 16 career PGA Tour tournament events, including the Open Championship in 1973, Weiskopf serves as an analyst for the U.S. Open. Possessing extensive on-air experience, he previously covered the Masters for CBS for more than a decade and also contributed to ESPN’s coverage of the Open Championship.